Mains power conditioning is something in which we rarely dabble, partly because the whole area of discussion seems to be dominated by cardigan-wearing, pipe-smoking hi-fi buffs, talking about how it makes their Al Jolson 78s sound more 'blackcurranty'. 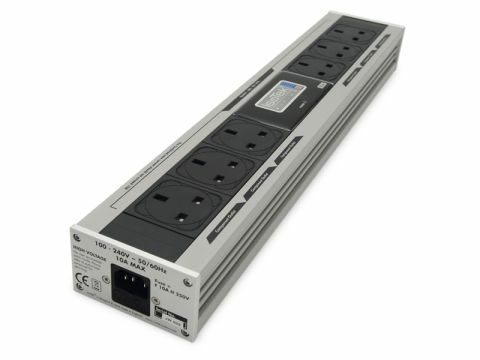 Still, seeing some of the dodgy plastic plugs and ramshackle wall sockets people plug their AV gear into, we think it's worth considering anything which can tackle the surges, spikes and grit of UK mains current. Enter Isotek's Sirius EVO3 – a substantial chunk of extruded aluminium with built-in power filtering and protection circuits, and six standard 13A three-pin plug outlets. Functions include removing switching transients, which can measure up to 6,000 volts; protecting against mains surges up to 22,500 amps, which should cover you for the average lightning strike; and ensuring that each socket gets power at the same resistance and timing. Handy. The Sirius's 25-year guarantee means that your investment should justify itself, in time! Not cheap, and we couldn't claim to see or hear any performance improvement from our AV gear. No switching functions – but mains distribution products which do tend to be more expensive. No IEC mains input cable or output cables are supplied – Isotek's own shielded mains cables are recommended.